A very sad time on the island of Hoy. 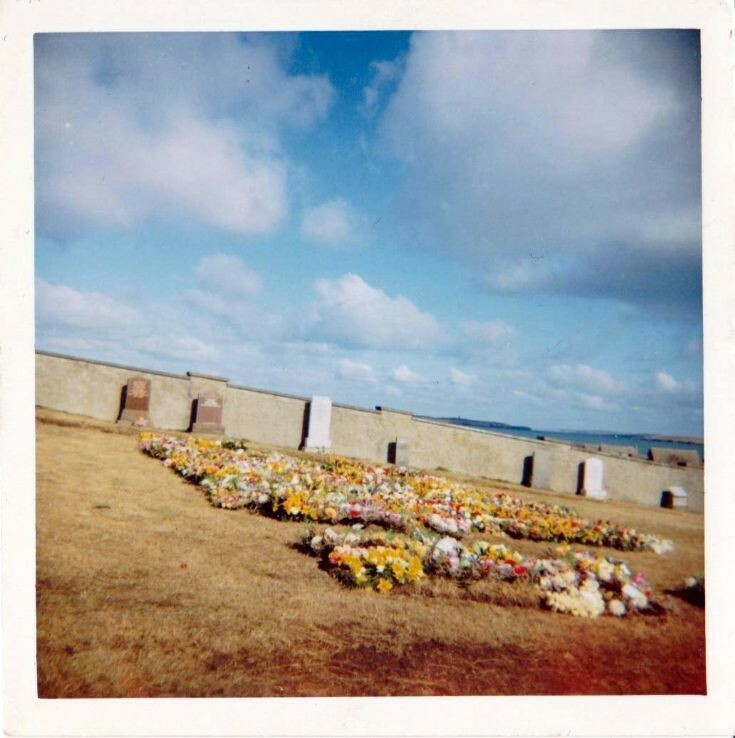 This was all the flowers on the graves of the Longhope Lifeboat men lost on the TGB. The weather was so bonnie for the next month after that stormy night when they were all lost. Dear Beryl, We would like to include this photo in the backdrop on stage to a performance of a song we are planning to perform at our local Folk Club in Aberdeen next month. The song is about the TGB and the tradition of the lifeboat crews of Longhope. Would you consider giving us permission to copy the photograph and use it for this purpose? I am happy to give more information and have a chat about it if you would like to get in touch. We would like to include this photo in a commemorative display at our folk club in March, where we are planning to perform a song about the Longhope lifeboat. Would you consider giving us your permission to include the photograph in a backdrop on stage, and in a free leaflet we will be handing out on the night? Entry to our folk club is free and people perform for free. Our aim is to support our community socially and support live music in the community. There is no commercial aspect to what we do.